From the feedback we receive, we know only too well how a simple break can turn heartache into happiness. 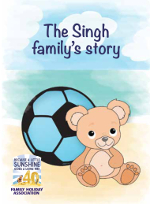 We’d like to share three amazing stories with you, each summarised in a short comic strip. 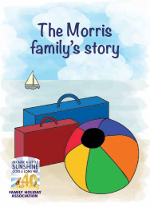 All are based on the experiences of real families we have helped. 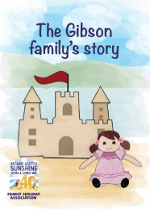 You can also watch a moving animation of the Gibson family story, as told by Sara, aged five-and-a-half. In 2015 we helped 3,734 families, more than ever before, and 2016 is on course to be another record year. We have only been able to achieve this thanks to the wonderful generosity of our supporters. Our work doesn’t stop. For all the families we help and the many amazing stories we hear, there are even more children, parents and guardians who are crying out for a break away from home. We will never be able to help them all, but we can help as many as possible. So please, help us to help them by giving what you can. It really will make a difference.